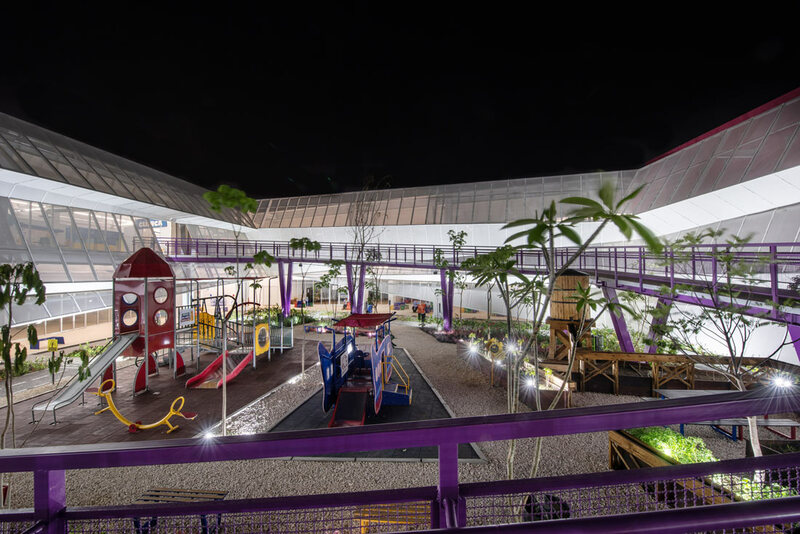 The Tuxtla Gutiérrez Children’s Museum was conceived with the aim of creating a project to promote the social and cultural advancement of children in the capital city of the state of Chiapas, in southeastern Mexico. Although Chiapas is one of the states with the biggest cultural offering, it faces many challenges in education and its economy. The task of building a Children’s Museum seemed complicated. 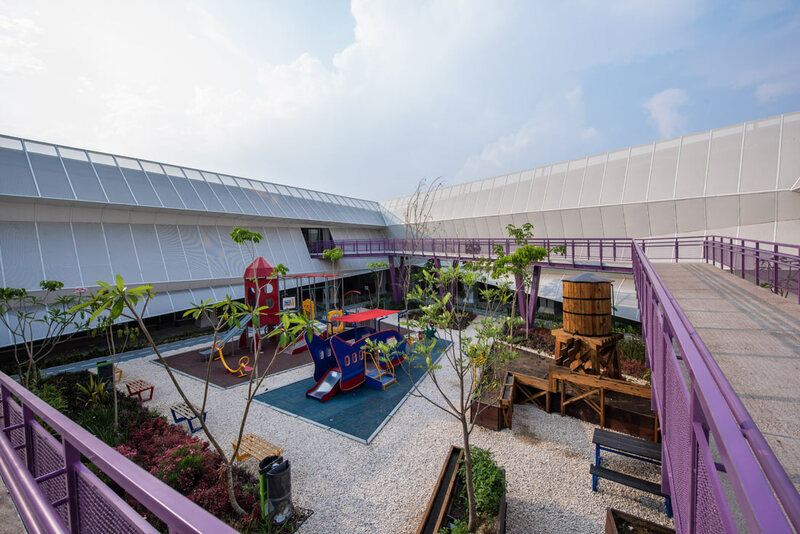 However, the state government supported the project due to a particular feature: the building would be a regional Children’s Museum. That meant that all the content, instruction and didactic material would be strictly related to the culture of the state, and it would open its doors to all children free of charge. 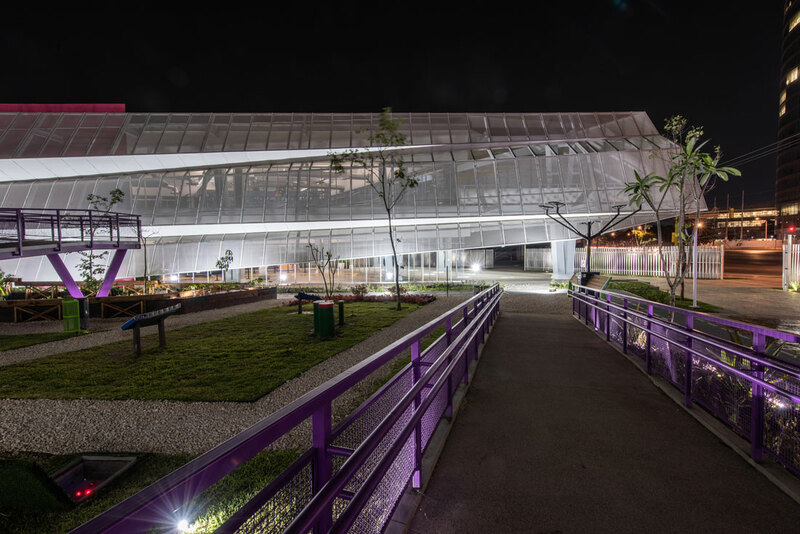 The museum by c cúbica is a sustainable project, with an important social impact and a unique architecture, based on a reinterpretation of the orography of Chiapas, characterized by its numerous elevations and valleys. The concept behind the project was the Sumidero Canyon, a natural landmark in Chiapas. It is referenced through an irregular geometry, with folds that evoke the movement and majesty of the canyon. 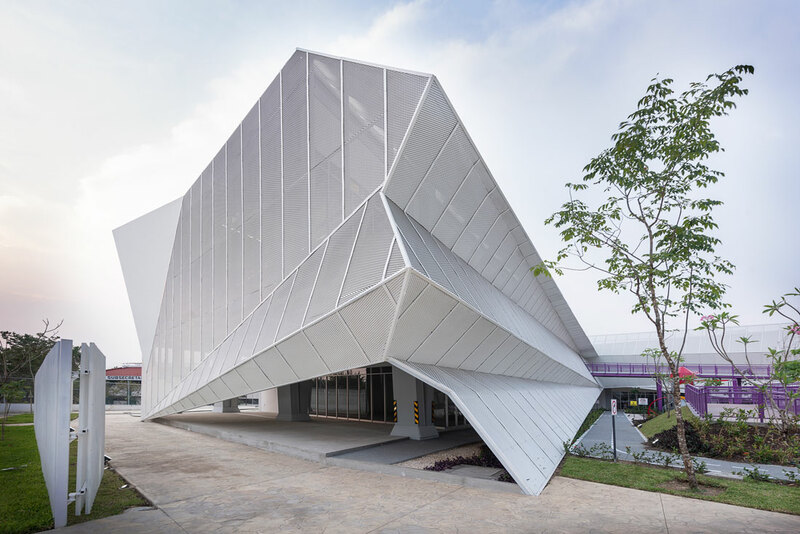 The building is divided into two levels, with a horseshoe-shaped floorplan, surrounding a central park that is open to the community, serving as a public space to generate user interaction. 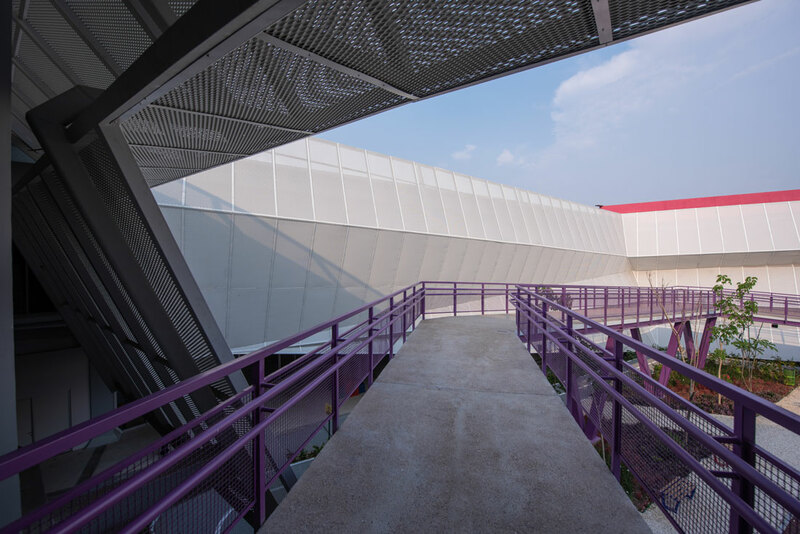 The ground floor is divided into an access plaza, a ticket office, an auditorium with capacity for 105 people, a retail space, a cafeteria, an employee area, storage, workshops, a nursing room, a cloakroom and restrooms. The top floor includes permanent exhibition halls, two workshops, a terrace for events, and administrative offices. 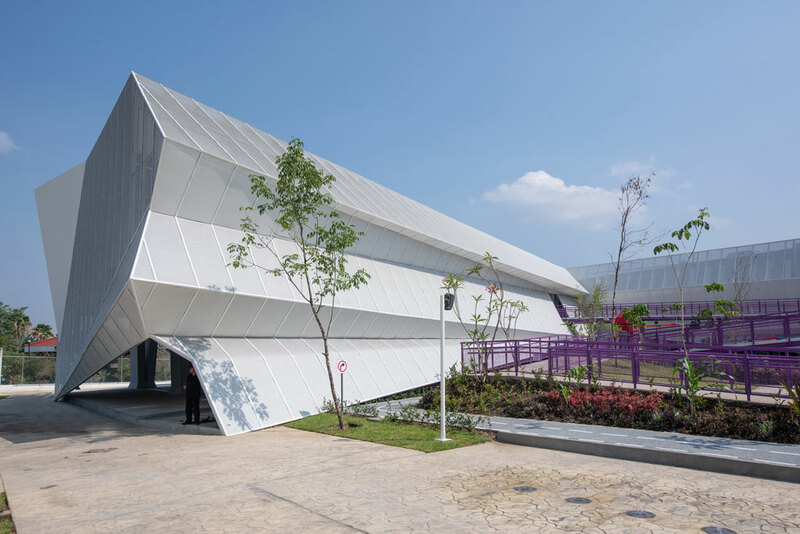 Each of the exhibition halls was adopted by a Secretariat of the state government, guaranteeing the maintenance of the content and related activities. Retail spaces were included in the program to ensure the maintenance of public areas through the income in rent. 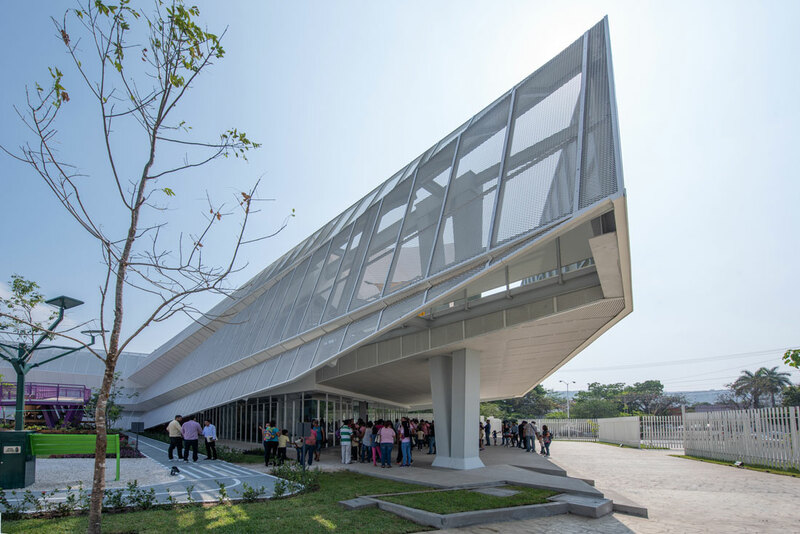 Despite its unique aesthetics, the building reduced costs by making efficient use of national materials such as stone slabs from the region and expanded metal sheets. The use of eco-technologies was an important consideration. 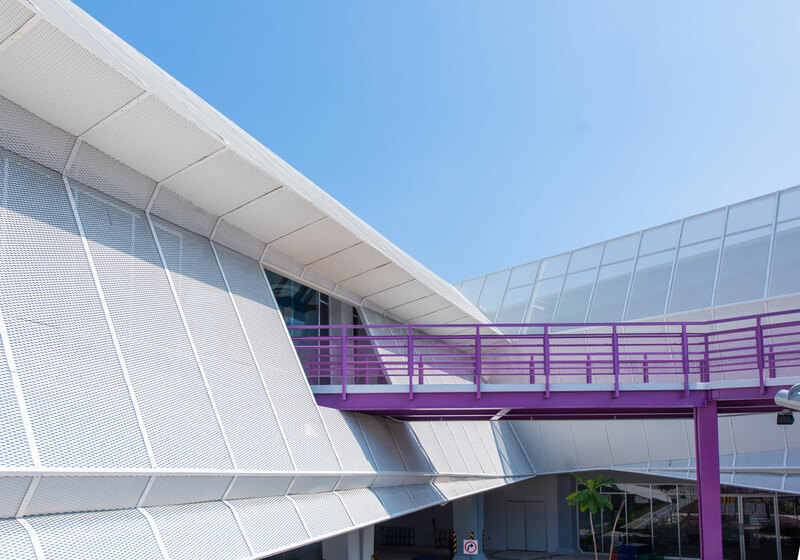 Rainwater collection and a double façade, which acts as an element of solar protection and at the same time provides daylight and natural ventilation, reduce energy consumption. 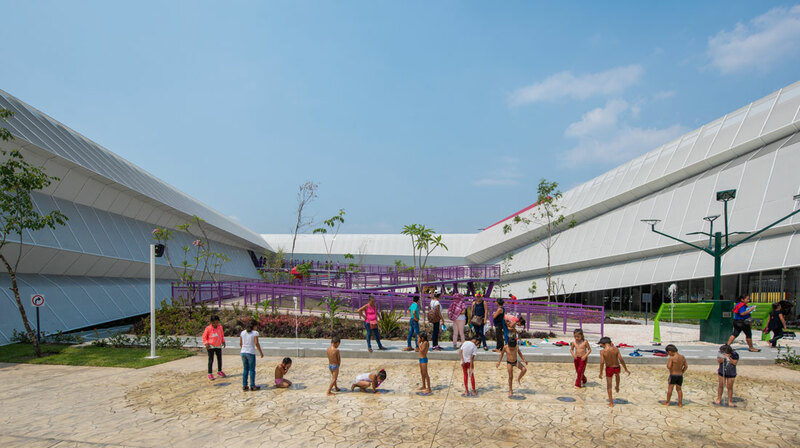 The Children’s Museum is a comprehensive project with the goal of promoting values for Chiapas’s children through didactic activities, in addition to promoting respect for the natural and cultural biodiversity of the region, seeking to create an experience that fosters meaningful learning.